Nominations can now be made for the World Business and Development Awards 2012 by organizations and successful business initiatives that are engaged in innovative business models that are delivering both commercial success and helping improve social, economic and environmental conditions, and that are in line with the Rio+20 UN Conference on Sustainable Development. The Awards demonstrate how companies can, through their core business activities, help achieve the Millennium Development Goals. 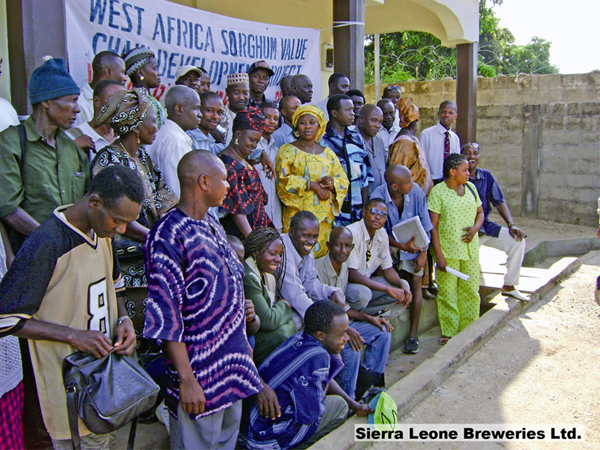 In 2010, one of the winning initiatives was from Sierra Leone. The project by Heineken’s local subsidiary, Sierra Leone Breweries Ltd, and supported by the Common Fund for Commodities, assists farmers in the country by creating a sustainable local supply chain that increases the farmer’s incomes and thus helps alleviate poverty. The World Business and Development Awards are being organized by the International Business Leaders Forum (IBLF), the International Chamber of Commerce (ICC) and the United Nations Development Programme (UNDP) in partnership this year with the Netherlands Ministry for Foreign Affairs, the Swedish International Development Cooperation Agency and the UN Global Compact. The award ceremony will be held on 19th June in Brazil at the Rio+20 Conference, closing the Business Action for Sustainable Development Business Day. Applications must be made online by downloading the form at www.worldbusinessawards.net/nominate by 25th March 2012.